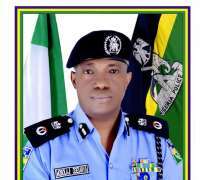 The Commissioner of Police in Rivers State, Mr. Francis Bolaji Odesanya has died following complications from an undisclosed ailment. Odesanya, who became the police chief of Rivers State in July last year, died Tuesday morning in a yet to be disclosed foreign hospital. “It was while receiving treatment that we got information about his death today,” the police spokesperson said. Mr. Odesanya’s death comes three months after he he was accused of assisting Governor Nyesom Wike in preventing an unlawful home invasion and arrest of a federal high court judge in Port Harcourt. He was the 37th police officer to hold the post of Rivers State police commissioners, a post he assumed on July 12, 2016. Mr. Odesanya joined the Nigeria Police for on February 2, 1986, as a cadet assistant superintendent of police.